Are you interested in the various psychic jobs that might be available? Do you have what it takes to be a psychic? Become familiar with the various psychic jobs and then decide what you will be best at doing. To be a successful and popular psychic, you must come across as caring, positive, and above all, truthful. Continually cultivate your skills by reading books on clairvoyance and the paranormal. The more educated you are, the more skilled you'll portray yourself to your clients. What Does a Pet Psychic Do? Becoming a psychic doesn't necessarily mean narrowing your readings to one particular type, but most clairvoyants choose a particular venue in which they feel the most proficient. You might choose to use your skills through tarot cards, palm reading, phone psychic readings, dream interpretations, etc. You'll need to decide which you are most comfortable doing, and pursue a job based on that belief. Before you attempt to make any money performing one of these tasks, practice on friends and family. If you truly aren't gifted in the area of clairvoyance, you may be wasting your time as well as that of your potential clients. There are several types of psychic jobs available, including telephone or online psychic, work-at-home psychic, etc. Some of the best psychics with the strongest abilities have also assisted the authorities in gathering information on missing persons and various crimes. This is the exception rather than the rule, but it goes to show the kind of opportunities that are out there for people with true psychic gifts. One of the most common psychic employment positions is the telephone or online psychic. A telephone psychic will actually speak to clients via the phone. You will typically work as an independent contractor with a psychic service. That service will pay you according to the amount of "talk time" you handle. As an online psychic, you will probably still work as an independent contractor, but instead of talking over the phone, you will converse with your clients through chat lines over the Internet. Either way, the company that you choose as an independent contractor will provide you with the details regarding how much you'll be paid. In most cases, for either one of these jobs, you'll need a phone line and Internet access, and you'll need to be at least 18 years of age. You may be allowed to apply for specific areas in clairvoyance, including psychic healing, psychic counselor, tarot card reader, etc. 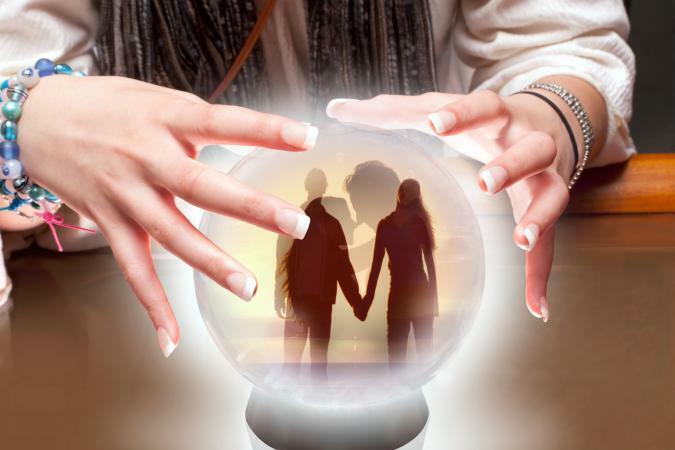 A psychic healer is somewhat different from a typical fortune teller. People generally seek out psychic healers to help them with specific problems or issues they are struggling with such as battling alcoholism or smoking. Sometimes the issues that need to be dealt with are emotional ones. In some cases, a psychic healer works with the addition of massage therapy or a "laying on of hands". A psychic with talents in this art is able to draw out negative energy from an individual and vanquish it. People often seek out psychic counselors to help them make decisions regarding their present and their future. They may have specific questions that they want to ask the clairvoyant, and they may visit several times over a period of weeks or months much like they would visit a typical guidance counselor. 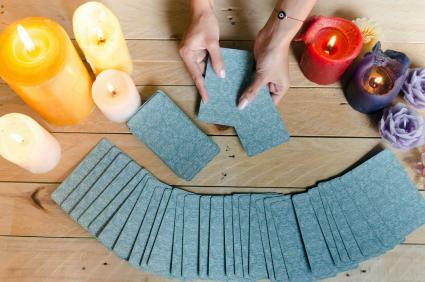 Some clairvoyants rely on reading tarot cards to predict their clients' futures. These special cards have symbols that represent basic life issues. When a particular card shows up in a client's reading, the client is most likely dealing with an issue of that nature. The reader will look at that card, as well as the surrounding cards also have some influence, and interpret the message of the reading as a whole. Reading the tarot takes time and practice, so it shouldn't be considered a starter position unless you have experience. You can share your experience and knowledge by teaching beginner classes in psychic development. You can create your own course and syllabus using your website for a teaching hub. You may decide to start small by offering a few courses on Udemy with an expansion of choices featured on your website as students advance from introductory courses. You may prefer to join a professional organization that offers various coursework. You may prefer the gallery reading format for conducting business. The fees for these are typically donation-based, although some psychics prefer to have a set fee to ensure they are paid for their time. You can either host the readings at your home or find someone to host the reading for you. If you opt for the latter, then you need to build in a hostess gift, such as a free reading or readings that go beyond what you do at the gallery readings. A personal past life reading, tarot reading or medium with a departed on for a set period, such as a one-hour session. Calculate how much you'd pay to rent a venue and compare to your fee structure to come up with a reasonable hostess gift paid with a reading or readings. Intuitive Energy Healers have grown in popularity over the last decade. This form of healing arts relies upon the individual's abilities, such as massage, Reiki, laying on of hands and other forms of energy healing. As a healer, you may rely upon your various psychic abilities and guides to assist you in performing the healing. You will set your rates according to your expertise and market. Most healers either have a dedicated room in their home or travel to their clients. The latter is less involved but will require portable equipment and tools as well as a fee structure that pays for your travel expenses. Some people are more interested in starting their own business out of their home. If this is what you have in mind, you'll need to discuss how you want to handle your taxes and other money matters with an accountant. In starting an at-home psychic consultation business, you'll again need to decide just which type of service you want to provide. Word of mouth will be one of your biggest assets, so you'll want to be comfortable and talented at what you do. Finally, instead of working out of your home or independently contracting through an online psychic site, why not consider establishing your own website? A very simple website format might include writing horoscopes for the clients that contact you for help and advice. You can conduct tarot and other types of readings via your website by offering a shopping cart for clients to use in securing and paying for their reading. There are a variety of jobs that allow a psychic to earn a living. Once you've determined which job is right for you, it's time to get started helping others and earning an income!